Blogging is a great way to make money by sharing your knowledge online. It will connect you to new people, open the door of opportunities, and lets you earn from different monetization methods. The main advantage of blogging is that you can work from anywhere in the world with a computer and an active internet connection. Create a blog and write contents whenever you want like early mornings, midnight and take rest throughout the day. No one will question, why you are sitting idle and not doing the work as there are no job rules for a blogger. It gives you unlimited freedom in handling the tasks and making money. Today we are going to talk about the step-by-step process of starting a successful blog and make money in 2019. I will tell you everything you want to know including choosing a domain name, hosting company, blogging platform, and money making methods you can use in the beginning stage. Follow these steps to create your blog and brand yourself in the cyber world. Choosing a niche is the first step in building your blog or business. It is a common term that represents the contents of similar topics like technology, fashion, travel, finance, etc. Choose a niche in which you are familiar with and write articles that readers will love. All the niches are not profitable. You should search and find the trending subjects in order to create a successful blog and make money from it. Once you decided about the niche, go to the next step. A domain name represents your activities online. People can visit your site and read posts through its web address. So it should be short and keyword-specific to get all types of traffic like direct, referral, and search engine traffic. A base is needed for every work. Pick a platform for your blog. WordPress is the most common and popular platform for bloggers. It is easy to use, flexible and offers many features to better manage your blogging activities. But it is not the single option to start blogging. Blogger, Tumblr, Weebly, WordPress.com, Medium are some other leading websites that allow you to create blogs in a few minutes. Learn about 50 most popular blogging platforms in this post. If you have no time to go into such a huge list or want to know about the pros and cons of top free blog sites, read Best Free Blogging Sites (2019 Edition)- Pros and Cons. I recommend WordPress which is used by more than 30% of the total websites around the world. It is perfect for any kind of site including business, e-commerce, blogs, forums, and others. Register your domain next. It can be done with a domain registrar and you will get attractive offers, discounts from them as a new user. Before buying a domain, know what kind of additional features or services you will get along with the domain. Pick a .com domain and apply promotional codes if any to enjoy the price deductions. Read Top 10 Best Domain Registrars to buy your favorite domains. Now you should host the domain with a reliable hosting provider. There are several things to consider before choosing a web hosting company. It should protect your website against the latest security threats and deliver the contents at lightning speed. The uptime, hosting plans, additional benefits, customer service are other important factors that affect our hosting decision. WordPress hosting is almost similar to the general web hosting. But their popularity or ranking will be different based on the features, services they provided. 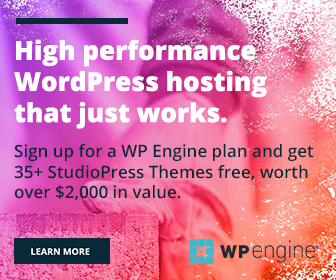 Read more about WordPress hosting in Top 10 Best WordPress Hosting Services to consider in 2019. Now you can install WordPress on the blog. Sign into your hosting account and follow on-screen instructions to install and start using WordPress. It will take just a few seconds to finish the process. We published a step-by-step guide for HostGator and WP Engine users on how to start a WordPress blog. If you host the site with them, don’t forget to read our relevant posts. Find and install WordPress themes that match your website type. There are thousands of free and premium themes available for WordPress users. Start with a free theme and you can change it to premium when the blog starts making the money. But make sure that you download themes and plugins from reliable sources. Otherwise, it may damage your site. Read The 10 Reasons Why You Should Go for Premium Themes in WordPress. Read The 10 Best Places to Buy Premium WordPress Themes; Pros & Cons. They provide beautiful, SEO-friendly, and mobile-optimized themes for different types of websites at affordable rates. The themes are secured, light-weight and you can contact the developers anytime for improving the performance, modifications if any. A wide range of plugins is another reason why people love WordPress. You will get plugins for any purpose including customization, social media marketing, security, backup, monetization, and so on. They will reduce your workload and smoothen the workflow. Read Top 10 Essential (And Free) WordPress Plugins Every Website Needs. It will be difficult for you to monetize the contents in the beginning days. There are several ad networks that you can use to show ads and make money from each user clicks. But your blog should be approved by them first. They may have requisites in terms of website age, number of contents, traffic, etc. So they may reject your application until your blog reaches the minimum criteria set by the respective networks. Affiliate marketing is another way to make money from your blog. It lets you earn by referring products to your readers. Amazon is one of the most popular affiliate networks to make money blogging. Read 18 High Paying Affiliate Programs for Bloggers to Earn Huge Monthly Income. Know what readers are searching for. Google Keyword Planner is a great tool that will help you to explore profitable keywords and search volume they generate. Find keywords with low competition and a huge number of search queries to get massive traffic to your contents. Create contents based on the keyword research you made. Provide detailed and accurate information about the topic covered. Avoid complex phrases and use simple words to target people of all types. Add relevant keywords and royalty-free images to get traffic from the search engines. Let others know about your posts. Promote your posts on leading social networks and blogging communities to get maximum referral traffic from them. Social sites like Facebook, Twitter, and Pinterest can bring huge instant traffic to your pages and use them effectively to expand your social media reachability. Read 19 Important Things To Do After Publishing a Blog post. Google Analytics is the best tool to monitor and optimize your traffic. It will provide detailed statistics about your traffic sources, number of visitors, popular pages, and many others. Create a Google Analytics account for your website, create and install your unique tracking code in the theme settings to start monitoring your readers. Visit your Google Analytics account regularly to identify the best traffic channels who divert maximum traffic to your contents. Spend more time on those networks to build a strong audience for your blog. Promote your posts at peak times to enhance their social media reachability and page visits. Are you looking for more blogging tips?